It would be comforting to think that gum disease afflicted only adults. 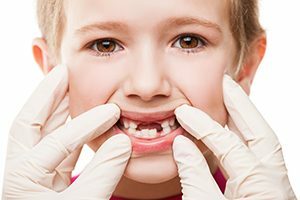 But adolescents and even pre-adolescents are especially at risk for what is often called Localized Juvenile Periodontitis (LJP). We usually think of periodontal disease as a result of plaque and calculus build-up. But the real culprit is bacteria that can spread from site to site in the mouth and even from person to person. You can even “catch” it yourself. Symptoms can range from sore, bleeding gums to no symptoms at all, so the best way to nip gum disease in the bud is to remain vigilant in scheduling regular exams for yourself and your children. If we find gum disease in one family member, other members of the family may be infected as well. Once we identify the type of bacteria present, we prescribe a regimen of antibiotics—capsules taken orally or medication applied directly to the inflamed areas. Don’t wait until there’s a real problem. Call and make an appointment to protect your family against LJP. Localized Juvenile Periodontitis can spread like wildfire. Your best protection is constant vigilance… regular dental check-ups that let us diagnose gum disease before it has a chance to spread and do real damage.